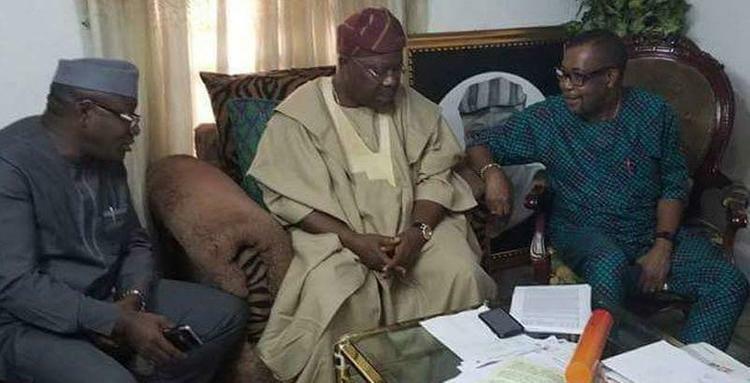 The Governor-elect of Ekiti State, Kayode Fayemi on Tuesday visited the governorship candidate of the SDP, Senator Iyiola Omisore, in Ile Ife to woo him ahead of the rerun holding in seven polling units in four local government areas of Osun State on Thursday. Fayemi, who accompanied President Buhari, on his trip to the United Nations General Assembly, was instructed to return to Nigeria to meet with Omisore in order to seek his support for the candidate of the APC, Gboyega Oyetola, in the rerun election. A source close to Fayemi told The Punch that the Ekiti State Governor-elect visited the Ife-born politician and the discussion was fruitful. The President of the Senate, Senator Bukola Saraki, had on Monday visited Omisore for the same reason and he also said the meeting was fruitful and was confident that the PDP candidate, Ademola Adeleke, would win on Thursday. Omisore is considered to be very important in this rerun election especially at Garage Olode in Ife South Local Government Area where his father, Oba Olajide Omisore, is the monarch. Meanwhile, the APC has said the PDP candidate would still lose if Omisore supported Adeleke in the rerun election. The Director of Publicity, Research and Strategy of the APC in Osun State, Mr Kunle Oyatomi, said this in a statement on Tuesday.